Starting Sunday morning, U.S. 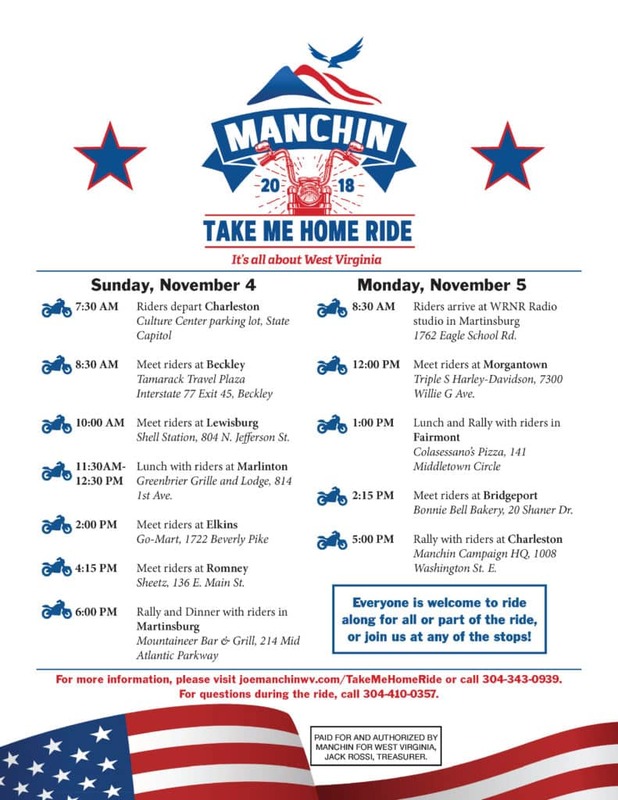 Senator Joe Manchin will kick off his “Take Me Home” motorcycle tour! 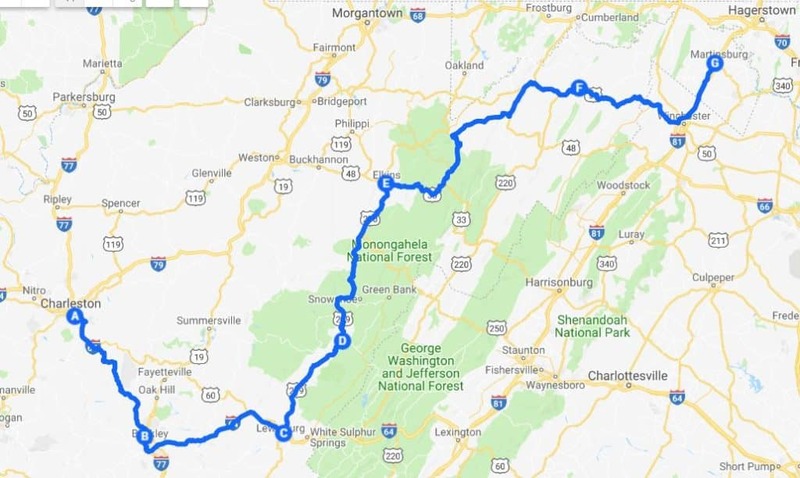 The ride will take Manchin around the Mountain State in the final days of the 2018 campaign and remind West Virginians to get out and vote. Manchin will make 12 stops to meet voters in the home stretch. For more information, call 304-343-0939. For information during the ride, call 304-410-0357.